I particularly liked this drink, though I love mango so I am not too surprised. We may have to make mango margaritas sometime this week, since fresh chopped mango is available every morning in the little grocery store at our resort. Puree mangoes, rum, and 1/2 cup water in a blender. Pour 2 ounces puree into each of six 12-ounce glasses. 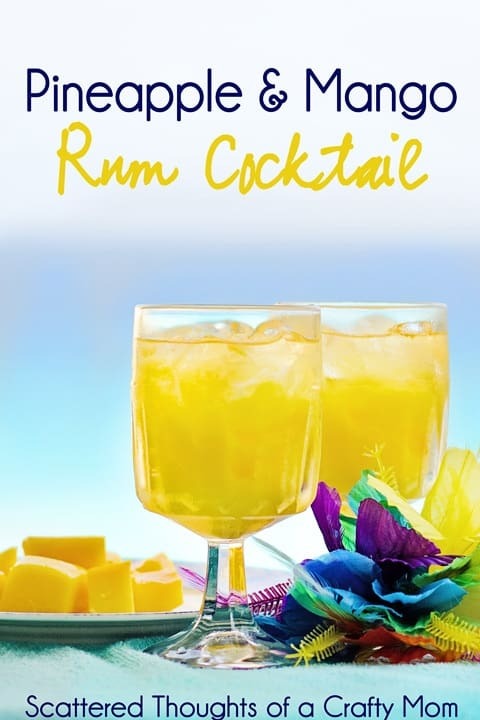 Fill glasses with ice, and top off with pineapple juice. 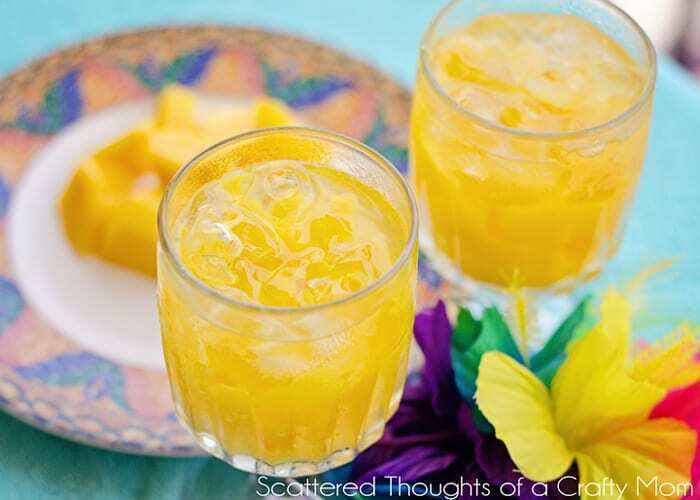 Garnish with sliced mango.